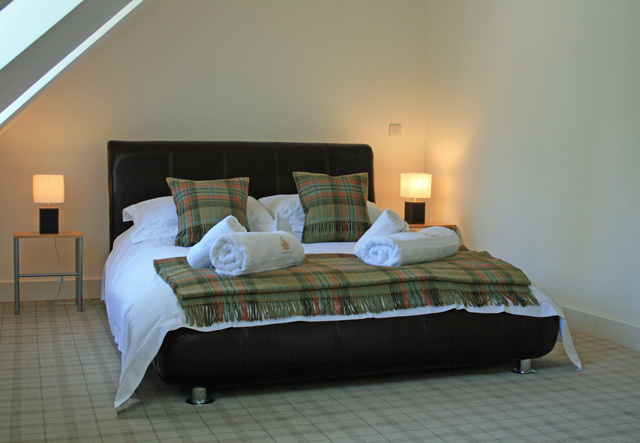 Moat House 10 is a duplex apartment attached to the original Moat House of Fort Augustus Abbey. The Abbey is a magnificent 'A' listed building which stands in 20 acres of grounds. The waters of Loch Ness lap the Abbey boundaries and it is easy to see why the monks of past generations found it such a restful, spiritual place to be. 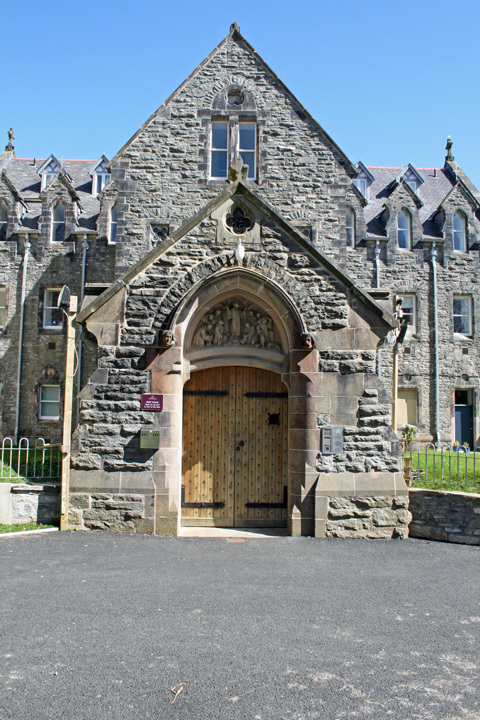 Fort Augustus is one of the most popular holiday destinations in the Highlands, not just for discovering the wilds, and not so wild attractions around Loch Ness, but also for visiting Inverness, Fort William and the West Coast - all are within an hour's drive from your accommodation. The village is just a short stroll from the apartment and has plenty of restaurants, bars and shops available. 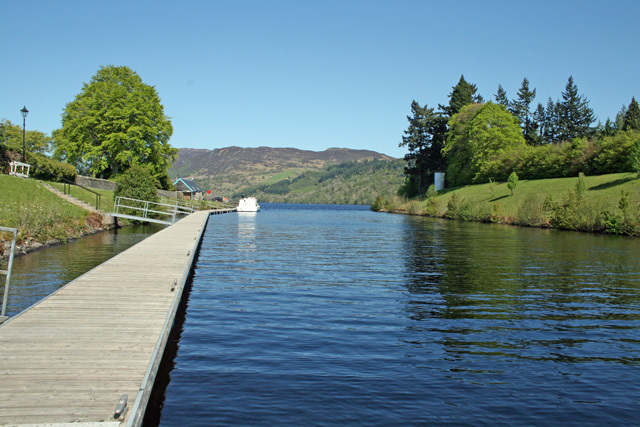 The River Oich and the Caledonian canal runs through the village and many an hour can be spent just watching the boats passing through the lock system on their way to and from Loch Ness. 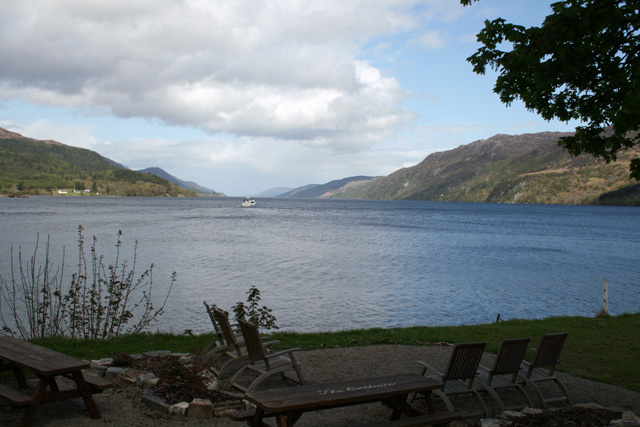 If you would like a boat trip on Loch Ness these are available from the village. 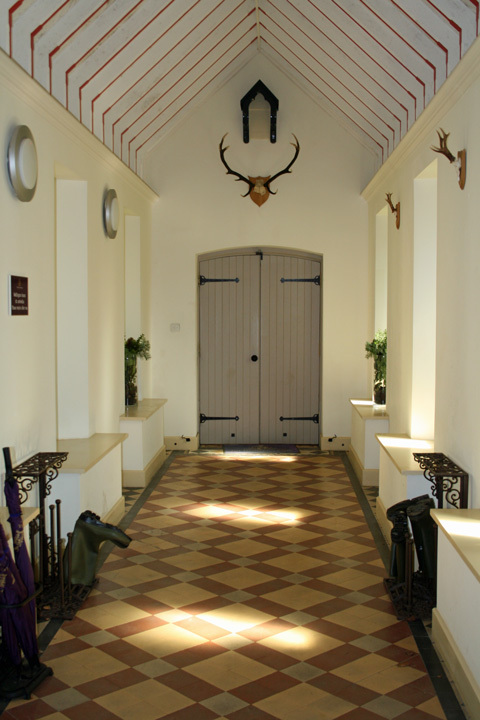 The accommodation is warm and cosy throughout the year and is an ideal retreat for those wanting to spend some quality time walking and relaxing and for quietly enjoying the refined and relaxed atmosphere of this historic Abbey. It is close to the Great Glen cycle way has many forest and hill walks from the doorstep. Kitchen with dining area which leads into a sitting room. The settee will convert in to a double bed if you want guests to stay. Sky (freeview) TV, DVD, Radio and CD system. 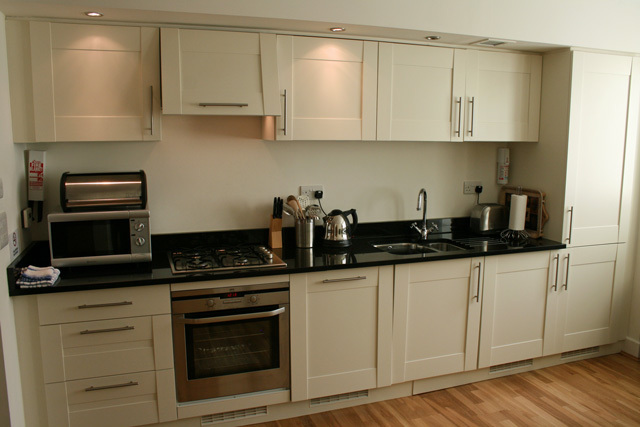 The kitchen has marble worktops, gas hob and electric oven, microwave, dishwasher, washer/dryer, fridge, freezer and ironing facilities. 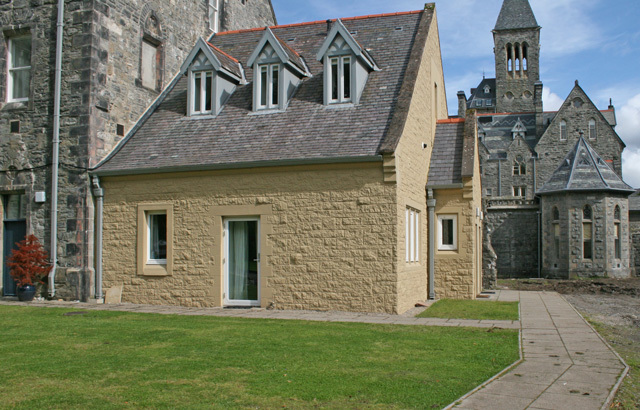 Double bedroom with a King size bed has East facing views to the cloisters. Hairdryer. Bathroom with bath and shower over. The settee in the lounge will convert into a sofa bed. Although the apartment is quite small for 4. Gas central heating. Gas and electricity included in the price. We had a superb time at the highland resort. The accommodation was good but the only reservations we had were that Sky TV was included in the package which was not the case and the soundproofing between the two houses were poor due to noisy neighbors. This somewhat was a disappointment on the break in general. We stayed at the Abbey in October and we really loved it. 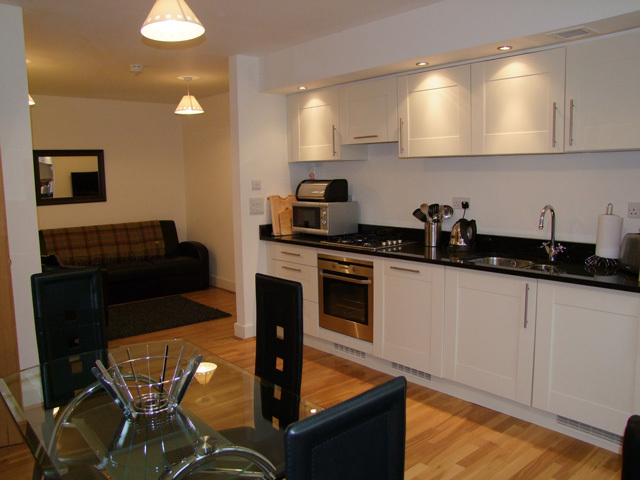 The apartment is equipped to a high standard and very comfortable and cosy. Whenever we visit Scotland we always stay in this area because it is so lovely and is a good central point for visiting lots of other places. We have often admired the Abbey so when we found we could stay there it was a real treat for us. We would highly recommend it. My wife. 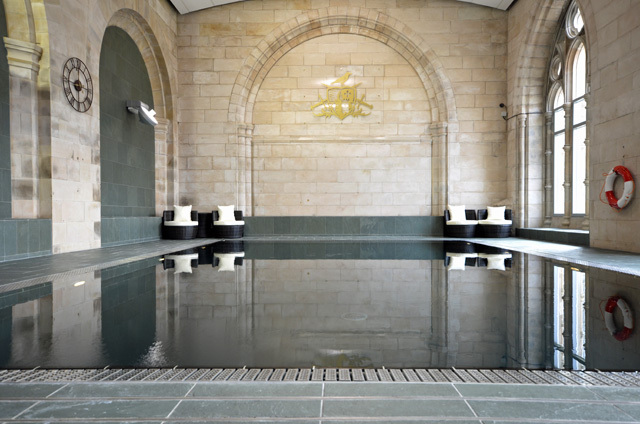 1.5 year old son and I spent 5 fantastic days at Moat House 10 and recommend it to everyone. The apartment is huge and very comfortable with enough space for the child to employ his energy (the hall and the stairs to the 1st floor bedroom). The kitchen is equipped with everything one may need (a very clever selection of items). There is a bath in the bathroom. The bed in the bedroom upstairs is really big so that three people can sleep on it freely. The area around the house is outstanding for playing and walking, there are walking routes in the forest on the mountains surrounding the Loch and along the channel. There was everything to relax from from every day routine. We stayed at The Abbey in Moat House No 10 from the 28th March to 4th April 2009. 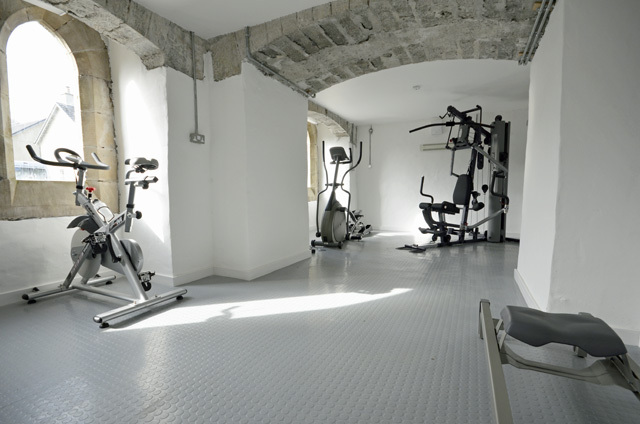 The apartment was equipt to a very high standard and ultra modern, everything you needed ideal for two people, all set in the beautiful grounds of the Abbey. Welcome gift of wine and shortbread was appreciated, we had the most perfect weather during our stay, impressed with Fort Augusta, plenty of good eating places, cruises on Loch Ness, and watching the boats on the Canal while having a glass of wine. Very central for Inverness and Fort William and variouse other places on the West Coast,looking forward to a return visit in the future.